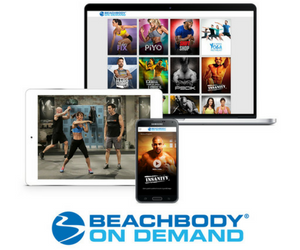 As you may already know, Beachbody On Demand provides you access to hundreds of Beachbody fitness workouts via online streaming. That means you can workout anywhere, anytime – with an Internet connection. 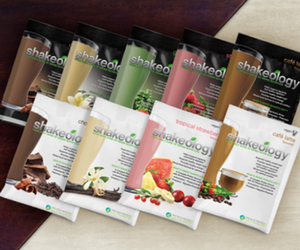 I’ve been using Beachbody On Demand since it launched and love it! I have not used a DVD since. It’s so convenient and I can use it on any number of devices, including computer, tablet, and smartphone. Recently, three new devices were added: Roku Players, Amazon Fire, and Google Chromecast. If you want access to all the world-class workouts, Exclusive workouts and the Challenge Du Jour, be sure to click here to sign up. 21 Day Fix-creator Autumn Calabrese will keep you working hard with three videos. Both Full-Body Stability Ball Routine and Total Resistance focus on the whole body. In the former, you’ll use a stability ball to do nine different full-body moves, while in the latter, you’ll use resistance bands to complete seven of Autumn’s favorite total body resistance moves. After the two sets, you’ll be feeling it everywhere. For dedicated core work, sculpt your abs with her short and sweet 5 Minute: Fast Belly Burn—Ab Workout. Body Beast-creator Sagi Kalev launches his Equipment Room series. First up is Back and Shoulders, a brand new, comprehensive workout to help strengthen, define, and build your muscles. Burpees. Check out P90X Creator Tony Horton’s Burpee Burner, which features five intense burpees moves, each six reps each. INSANITY Live “Express #1” and INSANITY Live “Express #2” will have you perform challenging drills and explosive plyometrics designed to test your limits while simultaneously building strength and balance. PiYo Live “Stretch & Flow”. This fusion of total body moves is designed to strengthen and lengthen your muscles while you stretch and flow through the workout. Try P90X Live for a “Cardio & Core” workout. This includes killer cardio and core exercise that torch calories and burns fat, and fast. Get ready to kick things up a notch with Turbo Kick Live “Express”. This express class will help you sculpt a toned-lean body with the high-intensity interval training and explosive kickboxing moves. You’ll have a blast as you work your way through the routines! Sign into your Beachbody On Demand account to get access to this exclusive content and more today!